I have a pair of Ferrini square toe boots for sale. They are slightly used, but in great condition. I have only worn them a handful of times, but don't wear them that often. 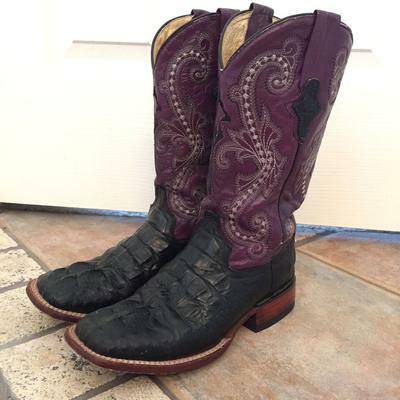 They are a size 6.5 of Hornback Camien leather with double stitching and a 12 inch shaft. I am asking $80, but price is negotiable.